Om aunnatyapadasancararathasthaya namaha, Salutations to the Sun who stationed in his chariot moves through high places in the sky. Who would improve the stature of the family. All problems created by that planet will surely vanish. Mars is a planet of energy – energy that can be dedicated to a purpose, energy that can be set apart, energy that manifests as protection, enabling, reaching of goals and life’s purpose. Here, we look to human values with dedication as a sub-value of Love, and the take up of action with purpose and outcomes as evidenced by Mars. Om janmamrytyujaravyadhivarjitaya namaha, Salutations to the Sun who removes the miseries associated with birth, death and ageing. From April to September there will be internal, interior challenges to us from the retrograde planets Saturn and Pluto. In this note, we look to the effects of outer planets, their retrograde motion and the effects these elicit within. During retrograde, we are presented with responsibilities for where we are in our life. We look to the transformative nature of Pluto, based on dharma, the proper order of the Universe. Mesha Sankranti for 2018 takes place on 14 April 2018. Mesha Sankranti is also known as Maha Vishuva Sankranti. According to Vedic astrology on this day the Sun enters Mesha Rashi or Aries Zodiac. This day marks the beginning of the New Year in many Hindu Solar Calendars. The Planet Saturn is dispositor of limits, control (and when we try to push past that control, frustration); and completion. We should never be trying to push back the barriers that limit us without using our discrimination. The Moon is considered to be the second most important planet in a horoscope after the Sun in Astrology. 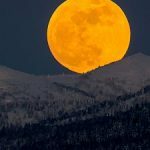 The Moon is the presiding deity of the mind, and as such, the state of the Moon in astrology depicts the state of the mind, particularly where there are aspects to the Moon. Here, we take the human value of Love and its sub-value Tolerance, and look to the Moon. Om jagadanandahetave namaha, Salutations to the Sun – whom – illuminating the world, is the cause of bliss in the ever-changing Universe.